Stacked Outdoors Ladder Sticks provide a portable and safe method for on-the-go treestand hunters. 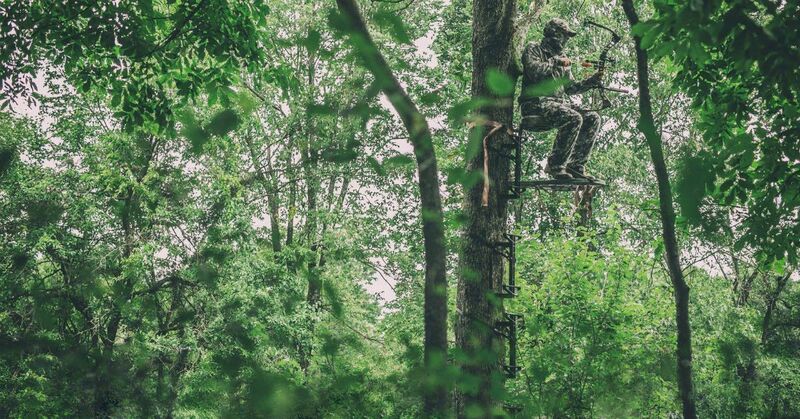 Stacked Outdoors Ladder Sticks were designed to meet the challenges of today's deer hunters. Lugging heavy, clanking sticks into the field isn’t only cumbersome, but it also puts whitetails and other game on high alert. Weight and packing are major issues with common ladder sticks, and the ability to efficiently pack a set of sticks into the field has always been a challenge. This especially rings true in terms of lock-on portable treestands that require four or more sticks to safely access high treestands. The Stacked Outdoors name is based on the product’s ability to stack and nest easily. Anyone can stack a set of these sticks in less than 5 seconds. No more time wasted fumbling around trying to get your sticks to stack together properly. No more tangled messes in the bed of your pickup or on the shop floor. Stacked Outdoors Ladder Sticks provide a lightweight, ultra-quiet, and compact solution for on-the-go deer hunters. And the strength of the sticks surpass the standards recognized by the Treestand Manufacturers Association. The innovative one-piece design of these ladder sticks eliminates the need for moving parts, weld joints, and connections that have the potential to fail. The simple and compact design also helps eliminate noise when in use. Stacked Outdoors Ladder Sticks are made in America using a high-strength and impact-resistant custom polymer with a built-in UV inhibitor. The dull matte finish of the construction material won't give away treestand locations through shine, either. Once in place, Stacked Outdoors Ladder Sticks provide a rock-solid and secure connection to just about any tree. The construction material in these sticks gives them the ability to conform to trees in a way that isn't possible with other climbing aids. Hunters will also appreciate the aggressive tread pattern and wider surface area on the steps and feel much safer while climbing in bulky winter boots. You will no longer have to worry about slipping from a slippery metal ladder step or having your legs or other parts of your body injured by screw-in-style treesteps. Stacked Outdoors Ladder Sticks require zero assembly. Stack your sticks, strap them to a pack and then head into the field. MSRP: single stick, $51.99; stack of four, $179.99. For more information, click here. Check out the video below to see Stacked Outdoors Ladder Sticks in action.